Нулевой дефект, Высокое качество, Лучшее обслуживание и Прекрасная поддержка Клиента - слова, которые стали синонимами Visionhitech. Базируясь на динамический рост систем CCTV, компания Vision hi-tech ориентирована на производство продуктов высшего качества для жилой и коммерческой безопасности. Основанная в 1997г. Vision hi-tech стала одним из ведущих провайдеров решений CCTV и производителем камер систем безопасности в Корее. Высоко квалифицированные инженеры и эксперты компании Vision hi-tech гарантируют 100%-ое удовлетворение запросов клиентов. В результате стремления к более высокому качеству, более высокой надежности и отличной поддержке, наши продукты используются во многих промышленных и коммерческих комплексах, правоохранительных структур и жилой безопасности во всем мире. Zero defect, High quality, Best service and Perfect support for Customer's success are words that have become synonymous with Visionhitech. 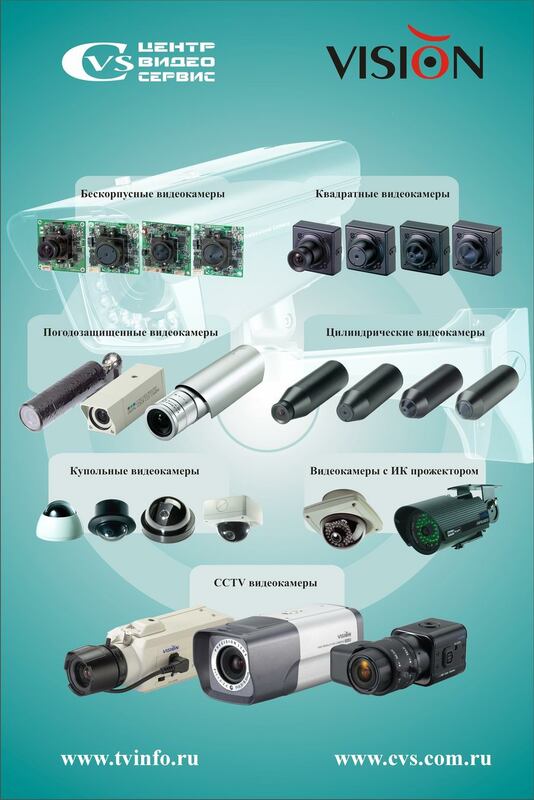 Based on our plentiful experiences on CCTV System & Products, we have dedicated ourselves to manufacturing the highest quality products for residential and commercial security Camera & system, Digital video Camera & surveillance equipments, Special purposed cameras and accessories. Established in 1997, we, as Visionhitech become one of the leading CCTV Solution provider & Security camera manufacturer in Korea. Our well-skilled engineers and various well-organized experts are extremely guaranteed 100% customer satisfaction and customer success through their dedicated efforts. As a result of our commitment to higher quality, stronger reliability and continuous services, our best products are utilized in many hundred thousand of industrial facilities, commercial complex, law-enforcements and residential security all over the world. With the strong reputation of offering high-quality products and excellent customer service, Visionhitech have built up and implemented ISO 9001 International quality management System since 2002, 03 to ensure as well as continuously improve our product quality and satisfaction of customers. During 2000 ~ 2003, we have acquired 10 of patents for creative design, 18 of patents on practical utility model and 5 of patents for innovative new technology, total 33 patents for security camera. These figures show that we are truly new technology - oriented manufacturer and are consistently striving for the principal development of security industry. Being the best of the CCTV solution provider with a global network, all members at Visionhitech does our utmost for better technical improvements, superior service and extreme assistance. Customers are always right. We will be at your back for your success. "Based on high competitiveness of technology and rapid expansion of sales, we will make a myth of Vision Hi-Tech in the field of CCTV security camera industry." The word of Vision means a desirable figure of future. In order to improve an ability concerning "Vision", it is needed a desirable company that see through the changes of future circumstances, especially brought by Science technology development, and deal flexibly with them. 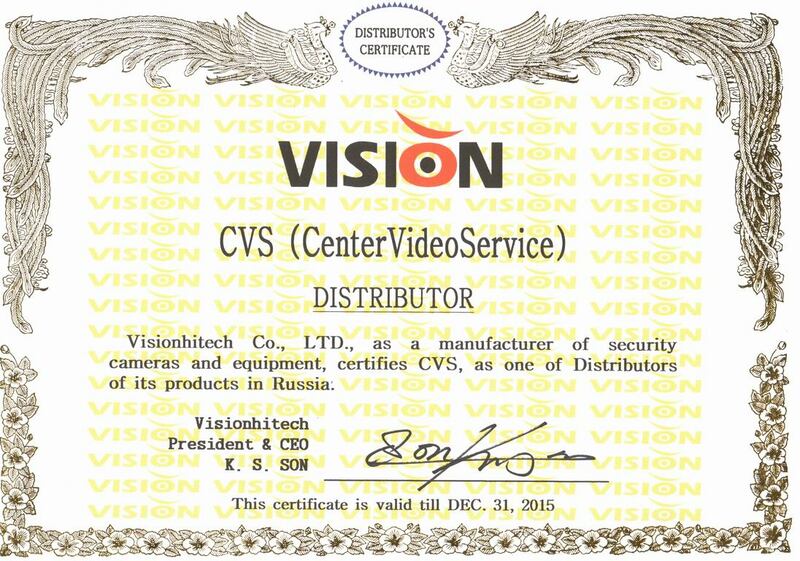 Vision Hi-Tech Co., Ltd. started as a "manufacturer of CCTV camera" in Sep. 1997. And then we developed the world first & smallest 1/3" CCD Camera Module. When we ever manufactured CCTV cameras for customers satisfaction, all members of Vision Hi-Tech have worked as one harmoniously to be a leader of the 21st century in the related industries based on continuous technology development and stable growth & employment. And, after all, we have been achieving our goal with rapid growth. In the end, We will do our best to be a company, Vision Hi-Tech, trusted with the best quality and loved by society through new knowledge and value creativity. CEO of Vision Hi-Tech Co., Ltd Son Kyong Sik. 2004. Nov Awarded the Prize by The President for "The Million dollar Export"
2003. Feb Established "Visionhitech research and development center"
2003. Feb Developed "True Day & Night Camera"
2002. May Certified "Enterprise of superior technology"
2000. 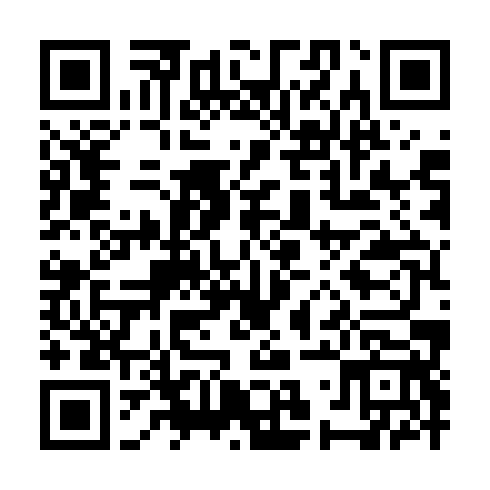 Sep Established "Vision Hi-Tech Co., Ltd."
We would like to deliver our commitment that we guarantee a full satisfaction to our customers by keeping one core mission be happy with customers. Understanding its mission is not enough but should be capable of fulfilling it. We do know how hard it is to commit with. However we dare can tell it through our positive experiences resulting in a successful business relationship and continuously growing output by keeping our word. All Visionhitech members know from the bottom of their heart that they will be happy when their customers are happy. Building up our customers reputation to the highest level is our primary concern. It is the most important factor we focus on. All members of Visionhitechs staffs and its employees are well educated to work every thing perfect at each position. We do care for the job aiming to No returns caused by the faults at the factory and Make the products strong enough to reduce defectives by the end users as well. The products reliability comes mainly from the circuit design and careful choice of good quality materials at R&D stage. And then good technology of PCB, SMD and final assembly determine the reliability. All those are achieved under the comprehensive understanding on both technical and commercial activities and dedicated cooperation with our suppliers and customers. Visionhitechs business philosophy is to provide the products that are originated from the customers point of view to maximize their profit and reputation. We have long been specialized in the miniature size cameras for professional applications. Normally small sized cameras are developed by skipping some components without being protected from long time reliability or by sacrificing some less important functions. Obviously the life span of the camera become far less than ordinary big sized cameras when it is done under unqualified conditions. Our staffs have been dedicated for the miniaturization of CCD cameras for the past 12 years resulting in creating a lot of worlds fist and worlds smallest innovations. All of them of course include full components and features in order to safeguard of reliability and to be usable for professional applications. So all our products show significant differences in design, size and quality from others. Visionhitech definitely is not satisfied with simply providing its products. We strive to satisfy customers with advanced technology and ultimate services under the notion that a companys future lies in the hands of the customers and their end users. Service activities thus are not limited only to the service department but are well recognized as an overall activity from whole of company organizations. We secure for a better future of our customers with reliable quality, quick delivery, perfect maintenance, continuous supply and good price. To help this policy, we start ISO9001-2001 Version customer satisfaction system from Dec., 200. It is often questioned Whose chip set the camera is used with? rather than Who is the manufacturer of the camera? Picture quality means clear image, good performance of low light sensitivity and distinct resolution without picture noises. Those factors are highly determined by the engineering skill of each manufacturer rather than by the source of CCD chip set. That is why the picture quality from each manufacturer shows different level. The engineer must has a deep understanding on characteristics of all components used for the camera, a deep knowledge about effective way of circuitry and PCB design, enough experiences for wide applications, proper trouble shooting solutions and so on. More than 90% of the products quality purely depends on the engineering capability not on the chipset. For us it doesnt matter what chipset we use as it is not so important. People are pushed to believe that cameras used with famous brand chipset makes always the camera good in quality. This is totally not. Why? It is because of the fact that each camera is made by a different level of technology. The sure way to evaluate the best camera is to compare the quality face to face. 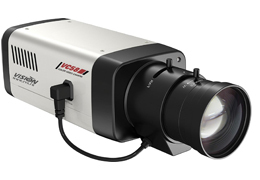 Visionhitech cameras always lead the picture quality as being the best in this field. We dare can tell it as Visionhitechs know-how. We promise to keep our faith to become a leading company with continuous efforts for developing new innovative products with an aim to play a key role in the 21st century, the era of dramatic changes. We commit ourselves to focus all our activities in view of our customers prosperity. We have the faith deep in our mind that the jobs are possible from close cooperation with customers based on strong trustworthy relationship and the faith to share the benefits of our success with our customers together. We have the faith the success has its meaning only when we can contribute to the happiness of global citizens. So our new innovations will be carried on the basis of making life of mankind more convenient and safe. Development of new technology having the value for the benefit of human being, holding strict faith to think right way is our market philosophy. We owe a lot to our customers what we have achieved so far. But we never satisfy at our current success because there are so many things to do for the sake of our customers. Our ultimate goal is to support our customer to the extent they become the leader in this industry. We feel it is our holy duty while it is alerted that more customers do not make more success. We are determined to associate with as less customers as possible throughout the world.